Bar.B.Q Plaza is a self-cooking Mongolian and Japanese style barbeque restaurant. The restaurant focuses on the selection of high-quality meats and vegetables where customers can experience self-grilling. Such cooking experience makes dining at Bar B Q Plaza enjoyable and mesmerizing. Bar B Q Plaza occasionally runs Refill Promotion throughout the year (usually lasted one month per promotion period), be sure to like Bar.B.Q facebook page and get instant notification on their page. *Depend on your food liking, both packages are equally valuable. Every dish on the menu is refillable which includes drinks and dessert during promotion season. A variety range of delectable meat slices for carnivorous diners – pork, beef, miso pork, bacon, pork belly, marinated chicken drumstick. Cubes of pork lard are provided (used to wipe pan surface) along with the starter set. Bar.B.Q Plaza sauce is the key ingredient to its success story. The specially prepared sauce consists – brown sauce, minced garlic, minced chilli, lime juice. Meat Slices tastes even flavourful with a dip of mild garlicky spicy sauce. Do try Thai Mookata for a different version of meat barbeque. 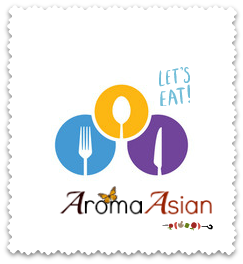 Address: 2F.20, Second Floor, Paradigm Mall, 1, Jalan SS7/26A, SS 7, Petaling Jaya.